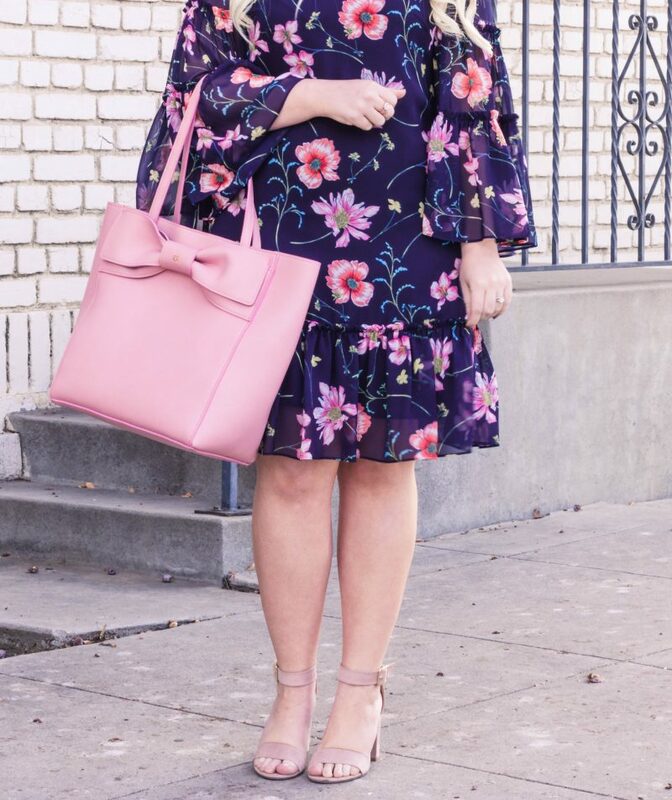 Spring has definitely been on my mind lately and I just can’t get enough! 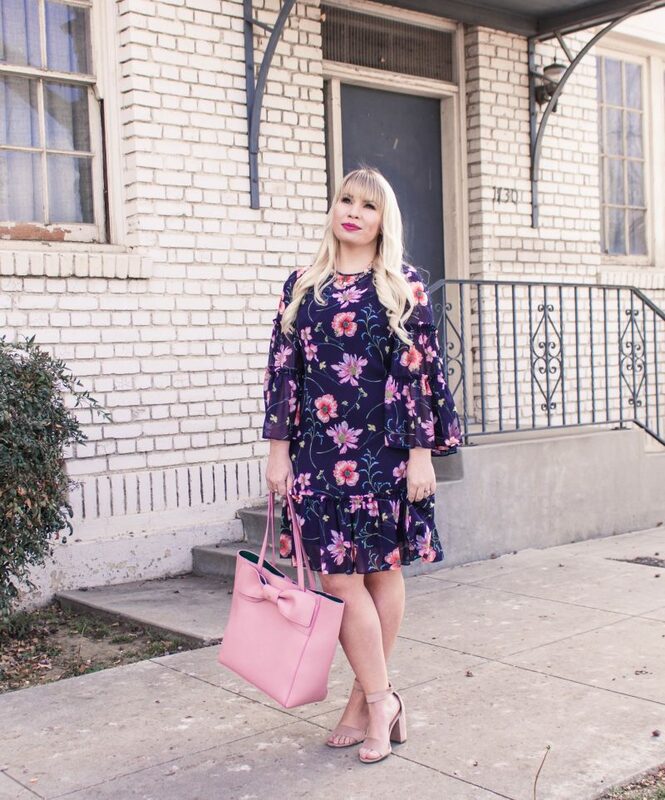 The cherry blossoms and almond trees have just started to bloom lining the streets with the most gorgeous florals. It’s no secret that this is my favorite time of the year. 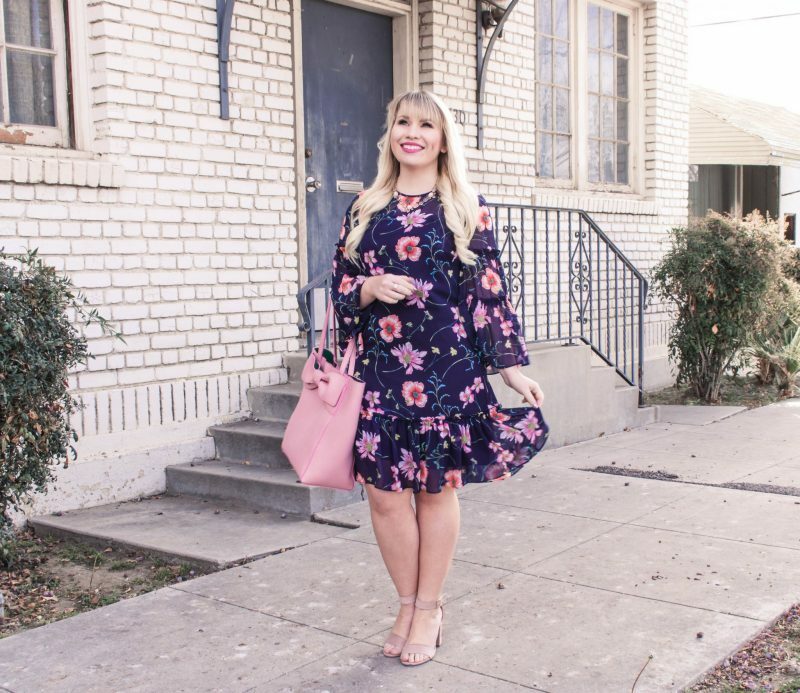 This floral dress is definitely a head-turner and one of my favorite’s for the season! 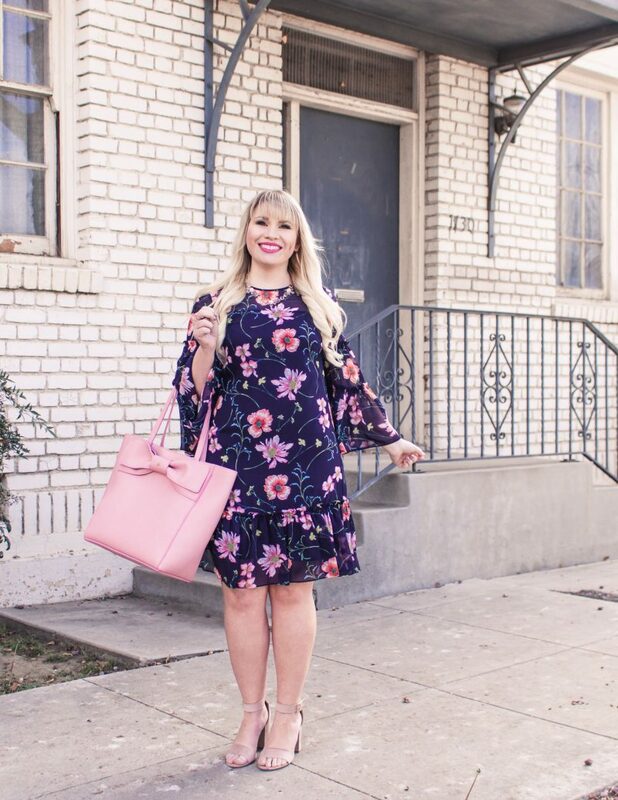 I seriously cannot get enough of this floral dress (see my other floral faves in this post and this post)! 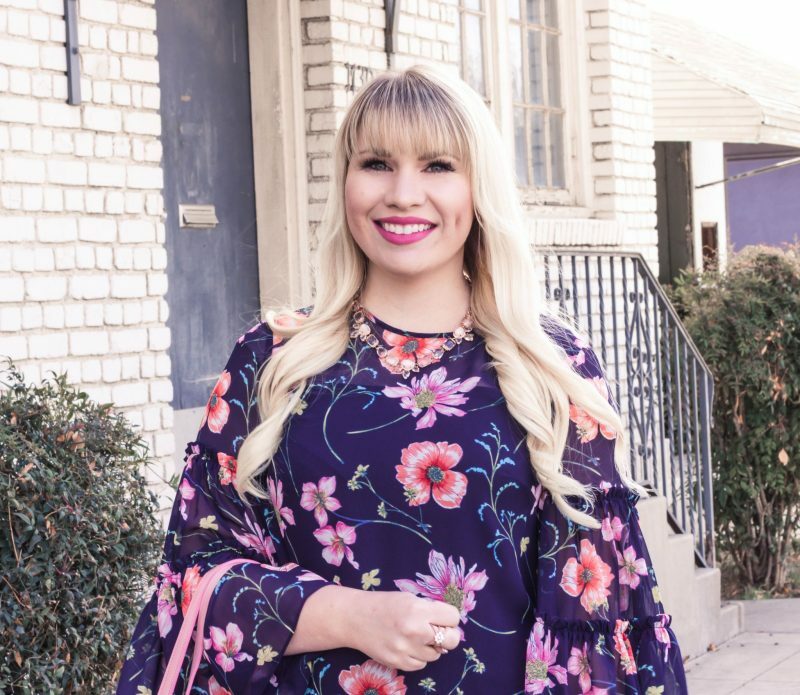 It has everything I love wrapped up in one garment: floral print, ruffles, and flowy sleeves! 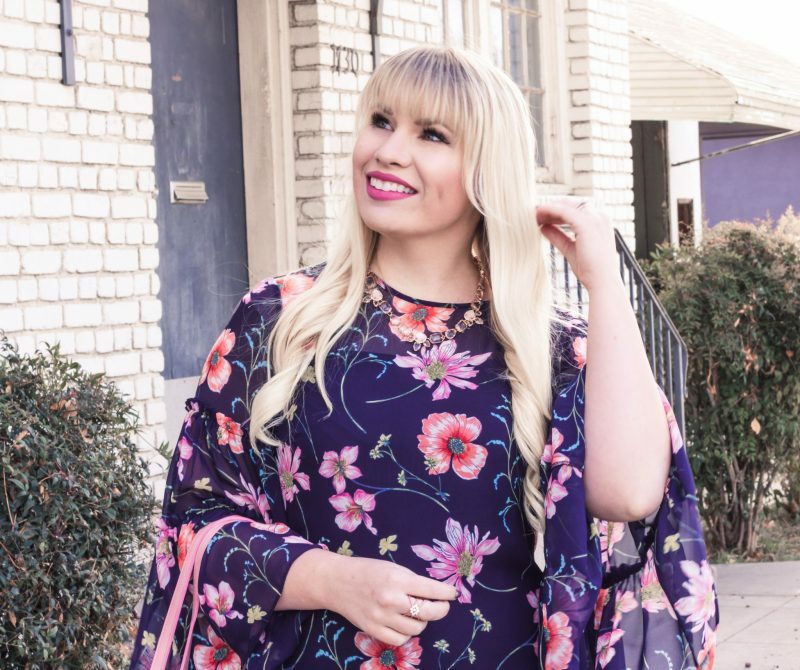 The colors are so vibrant and the fabric is light and airy making it super comfy and fun yet put together. 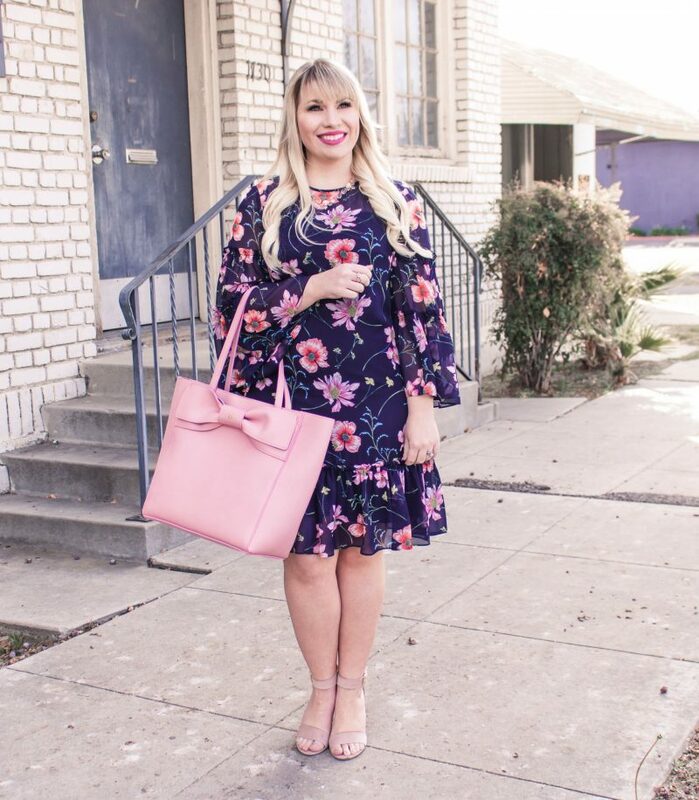 It would look perfect with sandals for the summer, dressed up with heels for a spring wedding or even with a pair of neutral pumps for work. 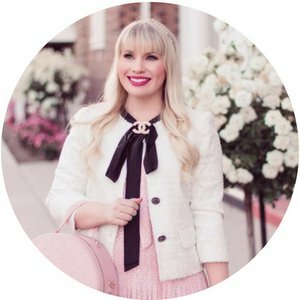 I styled it with this adorable bow tote, which has become my go to for work (my other job haha!). I did go up one size in the dress to accommodate my hips (they are 1-2 sizes bigger than my upper body) and it fit comfortably, but otherwise it’s true to size. 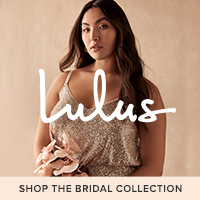 BaubleBar – up to 80% off! 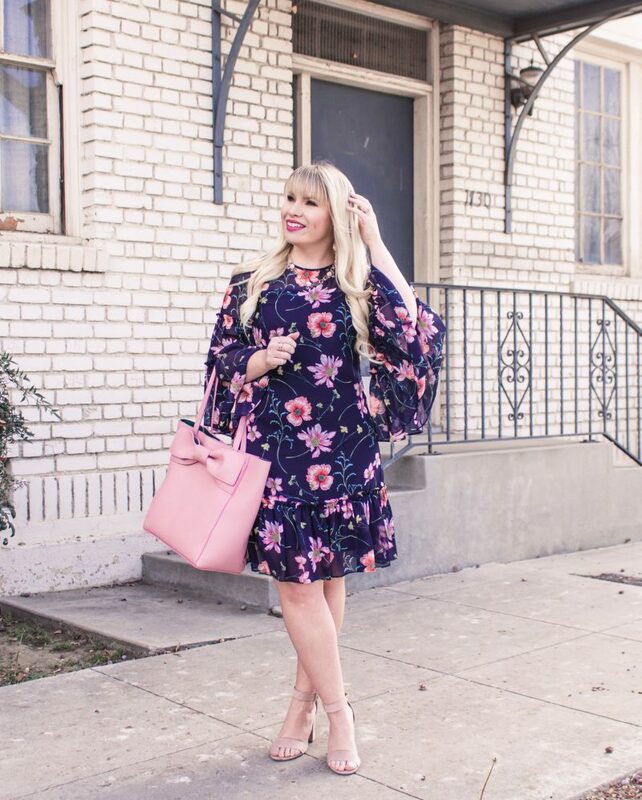 Nordstrom – save up to 40%! 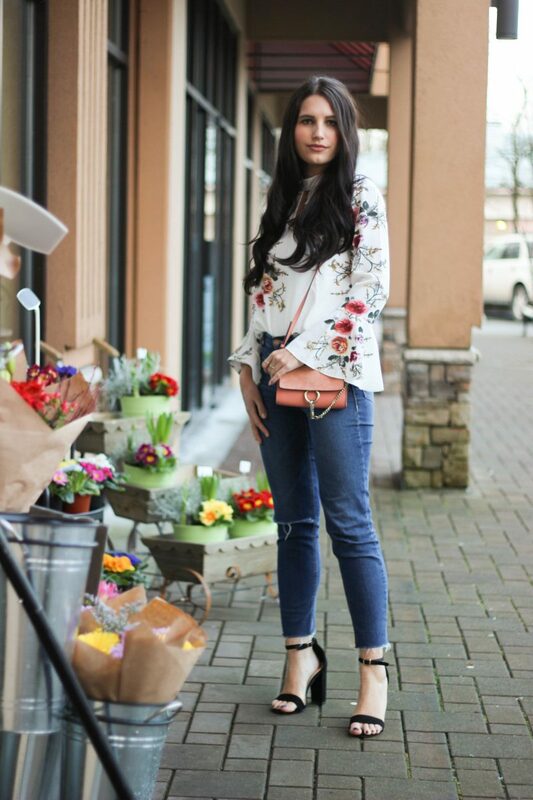 This is such a cute transitional look for spring! It would be perfect for the weekend! 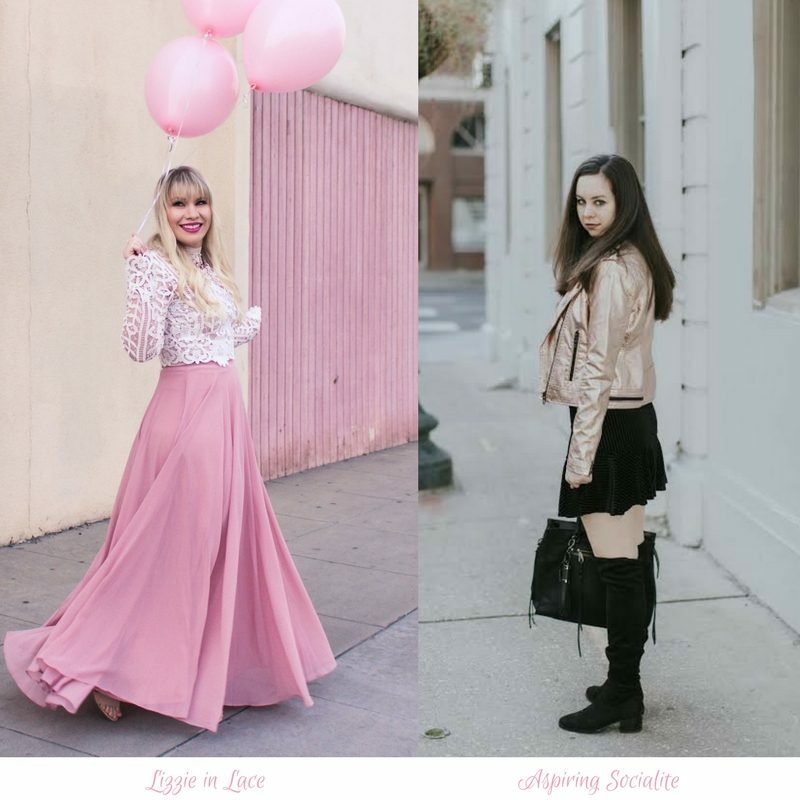 Welcome to the Friday Favorites link up with your co-hosts Liz from Lizzie in Lace and Vicky from Aspiring Socialite!